Tiburon is a town In Northern San Francisco located in Marin County. According to Baycityguide.com, “Tiburon is one of the jewels of Marin County.” This town was originally named, “Punta de Tiburón,” this Spanish word translated into English means “Shark Point.’ The name is quite ironic since there are no sharks in the San Francisco Bay area. You can travel by land or by water to this scenic jewel. Tiburon can be reached by car taking Tiburon Boulevard or Highway131 and By Highway 101. For water, there are ferries from the main of San Francisco or you may have a choice to take another ferry that connects the town of Sausalito to the said town. If you’re looking for fun in California, Tiburon is a choice to visit. With a family or without a family, you can enjoy Tiburon in many ways with its natural beauty and rich history. According to San Francisco Travel, each of the place is accessible by foot or you can just rent a bike (which will be discussed below) to get you walking and paddling about the town. Here are some places to relax and ease up at Tiburon that will convince you to stay longer and enjoy what this town can offer. How cool is it that this town has a building that tells a thing or two about their past? 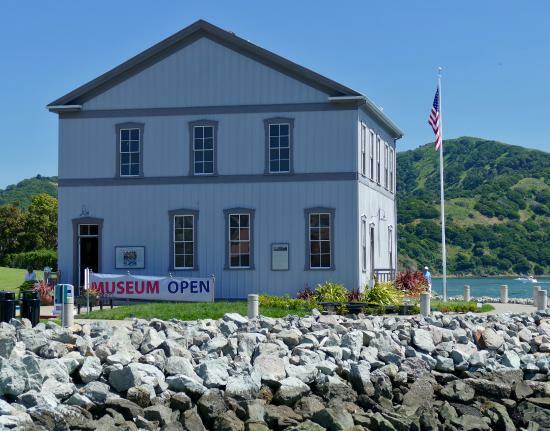 To be acquainted with Tiburon, this museum is a must-see. This building id dedicated to telling a story of how Tiburon cam to be. What seems to be an ordinary two-story building, is not that plain inside. 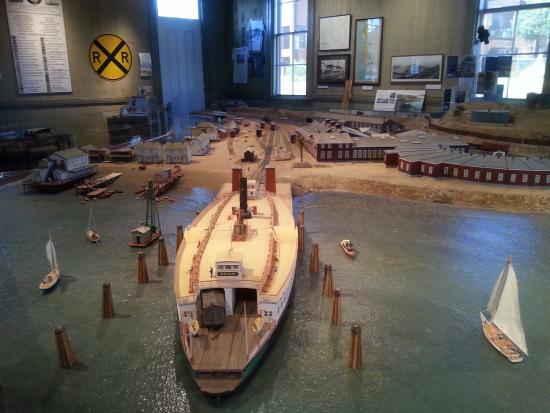 Inside, the first floor contains the model of the said town in the early days of 1900s with it are actual trains, ports, and steam boats. Since the place was previously route of trains. For the second floor, it is where the Depot House Museum is located it is also where the Railway Manager and its family lived. Some stuff are donated by the locals at the town to add more history and enrich the culture of the said and educating visitors one look at a time. The guides at this museum are very friendly and are willing to answer your questions. Additional, there are souvenirs to buy from and they also sell some books about the origin and history of Tiburon. It’s open during Wednesdays through out Sundays starting at 1 o’ clock in the afternoon to 4’ o clock in the afternoon. Another bonus package to the museum is that it’s a site to get picturesque views of Angel Island that is near to the said town, The Great City of San Francisco, and of course, the Mighty Golden Gate Bridge. You don not only get to enjoy the tour, the scenery, but also be relaxed at the end of the day and wrapped with the history of Tiburon. Sam’s Anchor Café, Main St. Under the heat of the sun, get quenched and filled up with delicious food and amazing docking views at Sam’s Anchor Café. This place can be a family restaurant, can be a dating place, and can be just for the single soul out there who just wants to relax. Sam’s offer great food at a fair price but rest assured it is c’est magnifique (really magnificent)! This café is a favorite to locals and even some tourist; it is well-known for its seafood and American cuisine that captures Tiburon. They also have a full bar around and they also offer outdoor sitting to enjoy the view of the dock and get the cool breeze whilst enjoying your drink or your meal. They serve starting brunch only until the evening, Opening from 11 o’ clock in the morning to 12 o’clock midnight. This café also has a nightlife entertainment and of course, Wi-Fi for those who just have to post at Facebook enjoying their time at Sam’s. The people here offer good service that makes guests more comfortable and makes the atmosphere more positive in vibe. Their seafood menus and wine listing is a must try when you decide to visit this lovely café. Don’t forget to stop by. Sam’s calling! Corner Books is a volunteer-run bookshop that was opened last 2010 of May. On every book you buy, proceeds will go to the port, library, and post of Tiburon. Full up and get the time to look at some of the books here, maybe you’ll get your next Stephen King novel for a good price plus you get to donate and contribute to the town. They sell, as they quote, “gently used” books, CDs, DVDs which are from community members so they can give back to the town as well. This is one fine project done. The service is also good which people don’t get paid here because all of the staff are town folks as well. It is located near the Landmarks Society and the Purple Monkey if ever you get a little lost. It is open from Tuesday to Saturday during 10 o’clock in the morning until 5 o’clock in the afternoon. Grab a book and help the town now! Nasimiyu Designs, Ark Row Shopping Center, Main St.
Ark Row Shopping Center is filled with places you can shop with but you have to just stop at Nasimiyu Designs and get the best handicrafts that are made by Nasimiyu herself. According to their blog site, “Nasimiyu’s Jewelry reminds us of our ancestral spirits and connects us to out universal nature. In remembering and honoring our cultural traditions the jewelry and beads convey that we are never alone.” Each of the craft is made originally inspired. The beads that are most used are coming from Africa having that native and powerful vibe. Some celebrities also love these designs and arts and wear them, like the wife of Bruce Springsteen, Patti Scialfa Springsteen and Christy Turlington- a supermodel. Try and purchase this beautiful art. 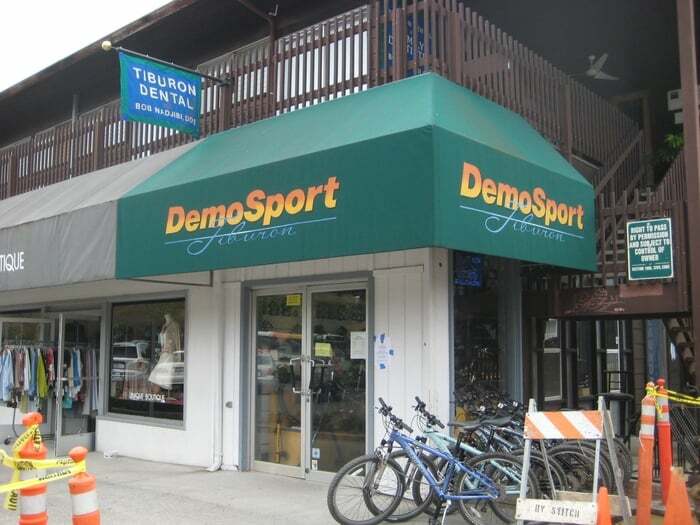 Demo Sport, Ark Row Shopping Center, Main St.
Another edition to the Ark Row Shopping Center is the Demo Sport where you can rent a bike or skates and use it around the town to go to different places faster. Actually there bike rentals are only on Fridays and Sundays because they are closed for the other days. Don’t hesitate to come here and rent now to enjoy Tiburon!